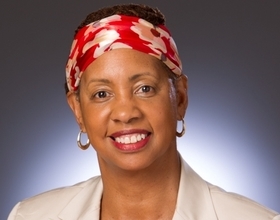 The American Health Quality Association, which represents quality improvement organizations across the nation, has named Dr. Adrienne Mims its new president, effective July 17. Mims, also medical director of Alliant GMCF, Georgia's quality improvement organization, begins a one-year term as president after serving as the AHQA's president-elect over the past year. In her new role, Mims will be AHQA's official spokesperson, providing leadership to the organization's board and acting as an ex-officio, nonvoting member of all of its committees. “My goal for the course of my term as AHQA president is for the association to be nationally recognized as a leading organization in the support of patients, providers and stakeholders for healthcare quality improvement,” Mims said in a release. Board-certified in family medicine and geriatrics, Mims, 57, has more than 30 years of primary-care, consultative and home-care geriatric experience, as well as 20 years in medical administration.